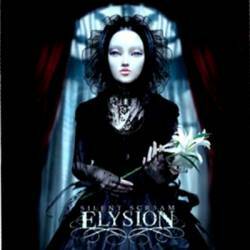 Elysion are a gothic metal band from Greece that started in 2006. At first they tried their luck with a male vocalist, but didn’t seem to get on, so that they decided to switch to a female singer. Their new addition Christianna has been compared by their label to her counterparts in such popular bands as Leaves Eyes, Within Temptation and Lacuna Coil. I concede that her voice is anything but bad, but she hardly manages to set herself apart. More disturbing is in my opinion the stuffy songwriting. Elysion may have a rather classic take at gothic metal, but they are closer to the pop world than to heavy metal. The fact that their single Never Forever sounds commercial could still be forgiven if at least the remaining material sounded harder. Whenever the band chooses to crank up the volume, as on Don’t Say A Word and Walk Away, they remind of Evanescence, but this hardly is a compliment. My ears wanted to shut off upon hearing Killing My Dreams which would be more fitting for a schlager band. The two ballads Weakness In Your Eyes and Far From The Edge hardly fare better. The final track Erase Me comes with a more experimental twist, but that’s not enough to improve the overall weak impression. Even though the band tries hard to show themselves with many different faces, they never achieve to set accents. The gothic genre has enough good bands that fans will think twice before giving Elysion a chance. Maybe next time the guitarist should add more muscle into his instrument.